How many times per day are Realtors asked the simple question: “How’s the market,” and exactly what answer do we give to satisfy our local, inquiring minds? Is it a simple answer or does the answer depend on who’s asking the question or does it really vary from region to region? According to the National Association of Realtors, the statistical answer to our question would be that for June 2017, we saw an increase in pending home sales, after three straight months of declining activity. It’s a factual answer, but probably not informative enough to satisfy most who are inquiring about our current, local market conditions. “Nationwide, low supply of available homes is an ongoing issue holding back activity, Yun noted. “Housing inventory declined last month and is a staggering 7.1% lower than a year ago”. Let’s first analyze our regions from a statistical standpoint, which will shed some light on our current market conditions. Throughout all our regions, the second quarter of 2017 brought us some long awaited price increases, in most property types. Our Westchester region shows listing inventory at the end of the second quarter of all residential property types, with a total of 4,359 active listings on the market, down from 5,105 for the same time period last year. In addition, the second quarter brought a median sales price increase for single-family homes of 3.1%, while condos and co-ops also saw an increase of 5.5% and 3.9% respectively over last year. 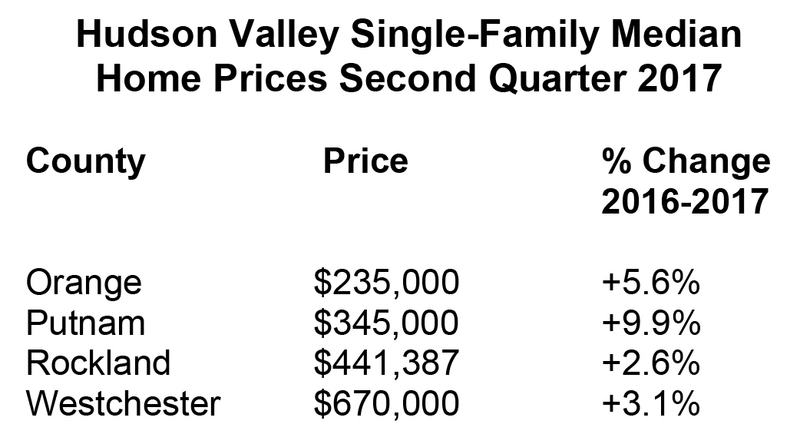 Orange County posted a second quarter increase in the single-family median sale price of 5.6% over last year, which is certainly encouraging for a region that has been experiencing high sales volume, but flat prices for quite some time. The end of the second quarter inventory for all residential properties in Orange County totaled 2,333, down from 2,806 for the same period last year. 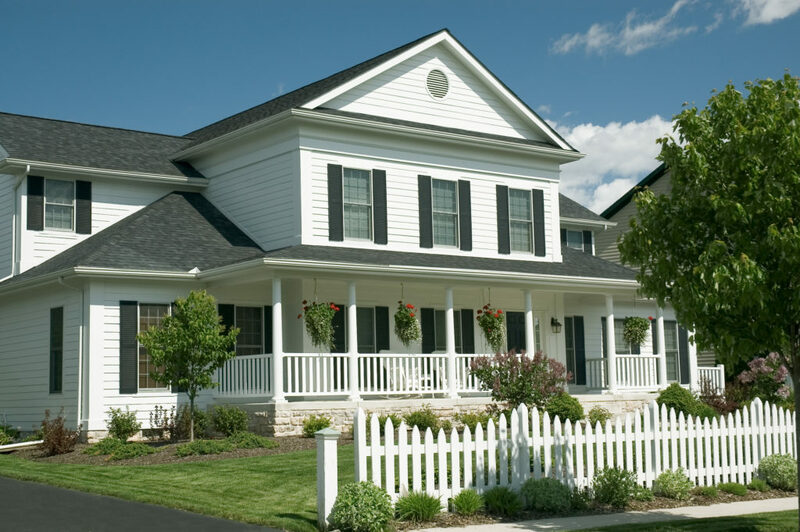 The single-family, end of quarter inventory reported less than 2,000 available homes. Putnam County’s median sales price increased significantly by 9.9% over last year. Also significant was the end of quarter total residential inventory level at 663, down from 856 one year ago. Rockland County experienced an increase in median sale price of 2.6% and followed the trend of decreasing inventory with 1,358 total residential listings, down from 1,636 at the end of second quarter 2016. Our regions have been experiencing a decline in available listings for the past four years. There were 12,153 active listings at the end of 2014, compared to only 8,713 properties at the close of the second quarter of this year—a staggering decrease of 28.3%. These inventory levels are greatly contributing to our increases in prices throughout all our regions, as well as creating a strong buyer demand. As with national statistics, pending sales are also up in all of our regions and sales levels are back to what they were in 2005, our last seller’s market. As with every market, certain conditions can bring some challenging situations that we need to be aware of. We need to constantly educate ourselves in order to provide the best possible service and guide our clients and customers through successful transactions. Most recently, I have been having a lot of conversations and providing clarification on our HGMLS rules and regulations regarding disclosure of accepted offers, how to handle multiple offer situations, under what circumstances and at what point can a contract status be changed back to active status. Other challenges have been appraisal issues and educating sellers that although the current market conditions are in their favor, there is still a need to price accordingly. Let’s keep in mind that we have not been in a seller’s market such as the one we are currently in for more than 10 years. Some agents, although they may have handled many transactions in their career, I believe have not experienced the challenges we now have in this seller’s market. Let’s continue to ask questions when in doubt and use the resources available to us to educate both our clients and ourselves. This truly is a great market. Our regions are experiencing a good, healthy real estate climate and all indications are there that these positives will remain steady, with price appreciation and increasing sales growth continuing through the end of the year. That’s my answer, and I’m sticking with it! Renee Zurlo is 2017 President of the Hudson Gateway Multiple Listing Service, Inc. 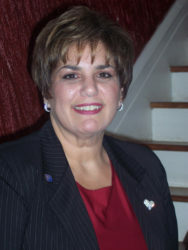 The veteran Realtor is also a licensed New York State Real Estate Broker and serves as regional manager for Better Homes and Gardens Rand Realty and is based at the brokerage firm's Central Valley offices.